After an increasingly dramatic few years and a particularly dramatic few months, Lena Dunham has hired Judy Smith, the crisis management expert whom Kerry Washington's Olivia Pope was modeled off, as well as publicist Cindi Berger, who works with Mariah Carey and Rosie O'Donnell, among others. This news comes via The Hollywood Reporter, and it indicates a shift in Dunham's handling of her fame. While not long ago she was penning rebuttals to claims made about controversial topics discussed in her memoir on BuzzFeed or via her Twitter feed, she's since deleted the Twitter app from her phone, as attention to her activities has not died down. 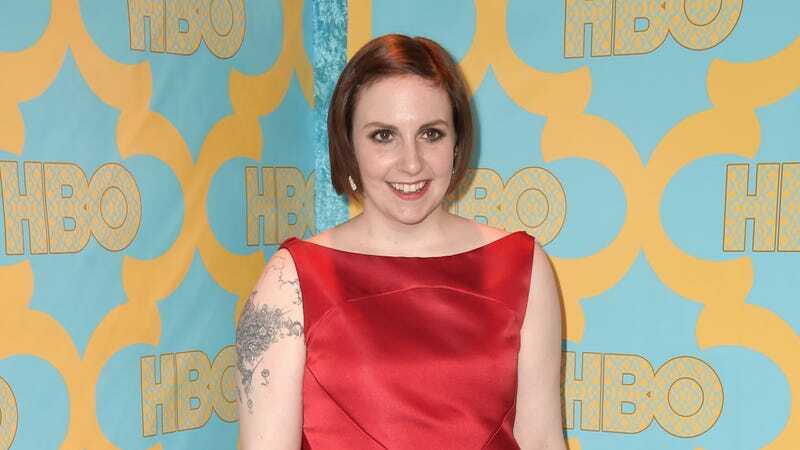 Many of her biggest mistakes, Dunham says, have taken place on Twitter. At one point, she upset, as she puts it, "the entire country of Canada," by mindlessly tweeting a quip about dressing up as the victim of a pair of notorious north-of-the-border serial killers—"me, at three in the morning in Europe, being like, 'What's a funny joke about a Lifetime movie?' "
In such moments, she thinks about an observation Antonoff made one day when she was feeling low. "He's like, 'You know what's hard? People want the person who wants to share it all. But they want the person who wants to share it all minus foibles and mistakes and fuckups. They want cute mistakes. They don't want real mistakes.' If I placed that many censors on myself, I wouldn't be able to continue to make the kinds of things that I make. And so I just sort of know there are going to be moments where I take it one step too far." Smith and Berger, who both head up their own companies, are the best of the best that Hollywood has to offer, and their hiring suggests that Dunham is finally accepting her new reality as a true Hollywood star, with all the drama that comes with it.